New to the commercial diet pill market, Trim-Right is natural appetite suppressant created to help boost your metabolism, reduce feelings of hunger and ultimately lower your daily calorie consumption. Combining ingredients from the natural world is the basis from which most appetite suppressants tend to follow nowadays but this implies “herbal” a phrase that the EU and advertising standards (particularly governing the UK) are currently clamping down on with the tightest restrictions to date. The simple fact this product exits assumes that all necessary certification is in place although the official website does not supply any concrete proof. A formulation consisting of Guarana, Capsicum, Apple Cider Vinegar, Green Tea Extract and L-theanine. The two ingredients of most interest are Capsicum and Green Tea – but contradictorily better known for there ability to burn fat rather that suppress appetite. Nothing documented to date to cause any concern. As a precaution pregnant or nursing mothers should avoid. Costs a shade under £30 and can be purchased for selected third party webstores. Does not appear to have a high street presence. Difficult to recommend over Proactol Plus. 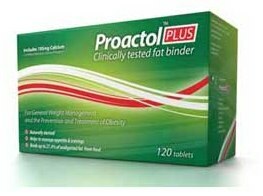 Proactol Plus is £10 to £12 more expensive but offers potentially a high chance of weight loss success. Proactol Plus is arguably the most legitimate and certified diet product available in the UK. It has a long history of success and numerous testimonials sadly lacking from Trim-Right. Proactol Plus is a fat binder and appetite suppressant that can have a significant effect on your daily calorie consumption.